Business News Australia has compiled a list of the top companies in Sydney for 2017. Each of the businesses in this group ranked 11-20 boasts a market cap in excess of $10 billion, and many have turned a solid profit. While a volatile market in resources and property has weighed heavily on some, the companies couched in fast-growing industries including technology and health have soared. The Sydney Top 50 Companies list is compiled based on market capitalisations at the end of November 2017. 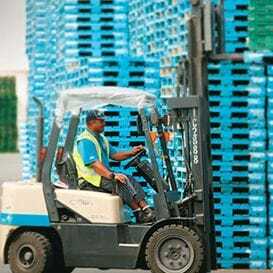 BRAMBLES - which makes pallets, crates and containers - has played down the impact of Amazon's entry into the Australian market on the local supply chain, but has indicated it will work with the online retail behemoth in other markets due to increased demand for its pallets. Chipchase says discussions with Amazon have centre around pallets in its fulfilment centres, which he says will help the retail giant with the "picking" of goods ordered by customers and eliminating the use of cardboard in its processes. It's all part of something of a rebuild for Brambles which issued an earnings downgrade in February 2017 because of failure at management level to address problems at its US operations. Chipchase inherited the issues and his first set of full-year results as CEO produced a fall in net profit of 69 per cent to $230 million. Analysts are keen to point out Brambles is still a high-quality business and in North America, which is Brambles' largest market, growth is steady and expected to be 11 per cent for this financial year. The company is market leader in every major region that it operates and Morgans describes it as a "strong business with dominant global market positions, high barriers to entry and relatively defensive characteristics". IT'S been a tough year for Origin Energy, marked by weaker oil prices and a third consecutive year of big losses with the 2017 net profit loss a real doozy at $2.22 billion. That figure was largely the result of another massive writedown on its stake in the Australia Pacific LNG (APLNG) project on Curtis Island in Queensland and the value of a collection of its traditional oil and gas assets under the name of Lattice Energy. Origin recorded an impairment charge of $815 million against the value of its 37.5 per cent stake in the APLNG, and a $357 million charge on its Lattice assets. The latest writedowns take its cumulative loss since 2015 to $3.8 billion, and since 2014 Origin's share price has been halved, which is roughly in line with the reduction in oil price. However, in the first quarter of 2017-18, Origin's oil and gas revenue rose 58 per cent to $678.6 million from the prior corresponding period thanks to the ramp-up at APLNG and higher energy prices generally. Origin CEO Frank Calabria has signalled a new direction for the company by saying that by 2020 more than a quarter of Origin's generation mix would come from renewables which is up from its current 10 per cent. The company has signed a number of renewable power purchase agreements in 2017 including the output of Edify Energy's Daydream solar farm, which will be built in Collinsville in north Queensland. Goodman Group, one of the world's largest listed industrial property groups suffered a slump in full year net profit for 2017 of 39 per cent and a revenue hit of 13.4 per cent, but it has forecast a growth in earnings as investors bet that it will benefit from Amazon.com's planned entry into Australia. The company has industrial space and logistical operations near major cities and suburbs which are increasingly in demand in technologically advanced companies as more consumers continue to purchase products online. Goodman expects a six per cent lift in earnings per security to 45.7 cents in 2017/18, amid continued demand for high-quality industrial real estate, thanks to increased consumerism, the rise of e-commerce and supply chain efficiencies. "Rapid advancing technology and increased consumer expectations around price, product availability and delivery, while disruptive for some businesses, are providing us with opportunities," says CEO Greg Goodman. Goodman is forecasting $828 million of operating profit in FY18, with earnings per share growth of 6 per cent. It owns a portfolio of more than 200 commercial and industrial properties in major metropolitan markets across Australia and manages a slew of funds in the property sector globally, including the UK, Europe, Japan and Hong Kong. THE WEALTH management giant has undergone a few difficult years and its first half net profit for 2017 fell to $445 million from $523 million in the previous corresponding period, although the company has urged shareholders to focus on underlying profits. That figure was up from $513 million to $533 million in the first half on the back of strong operating earnings, and AMP says this is the key measure of business profitability. In August, AMP announced two new reinsurance deals worth a total of $500 million, including an extension of its relationship with Munich Re along with a new deal with Berkshire Hathaway's General Reinsurance Life Australia. The company says it is still considering ways to deploy the capital which will be available by the end of the year and CEO Craig Meller has flagged the option of a share buyback. POKER machine maker Aristocrat hit the jackpot with a full year profit rise of 41 per cent, thanks mainly to growth in the United States, but face the uncertainty of a legal case involving one of its machines. The landmark pro-bono legal test which was undertaken by Maurice Blackburn lawyers to highlight the "deceptive and misleading behaviour" of pokies manufacturers and venues will begin in the Federal Court with Aristocrat and James Packer's Crown Resorts as defendants in the case. The first-of-its-kind case will focus on the design of poker machines which allegedly contribute to players being deliberately deceived on their prospects of winning, in particular the design of the "Dolphin Treasure" machine. The potential financial ramifications of this lawsuit on Aristocrat are unclear. It is new CEO and MD Troy Croker's first big test since he replaced Jamie O'Dell in early 2017, with Aristocrat recording its 10th consecutive period of growth with its half year results in March. 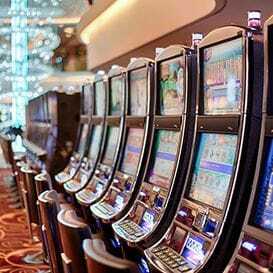 Large scale openings of gaming machines in the Philippines, Malaysia and South Africa have more than doubled revenue from the group's international gaming machines business to $132 million. Analysts have noted that 50 per cent of Aristocrat's total revenue is recurring and UBS expects that proportion of recurring revenue to grow further. This gives the company and its investors some degree of certainty over future sales figures. THE insurance giant booked a solid half year profit rise of 30 per cent, but its emerging markets division weighed heavily on the company as the unit's chief executive David Fried stepped down. The interim profit rise was achieved despite a large rise in claims under Fried's watch in its emerging markets division which will now be split in two, Latin America and Asia Pacific. QBE chief risk officer Jason Brown will lead Asia Pacific, and Argentina chief executive Carola Fratini will lead Latin America. CEO John Neal has promised there will be no repeat in the emerging markets division which makes up 10 per cent of QBE's earnings. "In addition to the tightening of underwriting controls and discipline, improved pricing models are being introduced, enhanced reinsurance protections considered and cost reduction plans implemented," Neal says. Revenue for the half year rose 5 per cent to $US8.25 billion as it increased net premiums by 3 per cent in the same period. PRIVATE hospital operator Ramsay Health Care has been a market favourite for some time thanks to its growth strategy and the positive long-term outlook for its business based on an ageing population. Highlighting that growth strategy was its decision to acquire the Malouf Pharmacies as it looks to expand its own pharmacy chain. Ramsay received regulatory approval to acquire Malouf's, which is one of Australia's leading pharmacy brands and the largest privately-owned pharmacy group in Queensland, employing more than 450 staff. The deal is expected to be finalised in early December 2017. It has also opened two new facilities, the Southport Private Hospital on the Gold Coast and the Border Cancer Clinic in Albury. "Australia remains the powerhouse of our business and delivered another year of impressive earnings growth, driven by strong demand and our brownfield developments," says MD Craig McNally, a 29-year company veteran who took over from Chris Rex in July 2017 after his planned retirement. McNally has forecast strong growth in its Australian hospital business which is also delivering strong results from its operations in Asia, France and the UK. 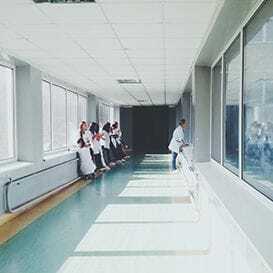 RAMSAY Health Care is Australia's largest provider of private hospitals in Australia with 73 facilities around the country and is among the top five operators globally with assets in the UK, France, Malaysia and Indonesia. Ramsay has consistently recorded double digit growth since 2009 and is expecting its earnings per share to grow between 8 and 10 per cent in the 2018 financial year. 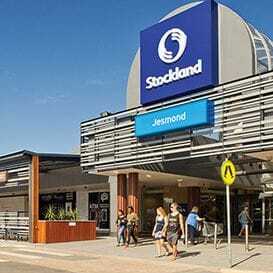 PROPERTY developer and shopping centre owner, Stockland, posted a strong rise in net profit of 34 per cent and a revenue increase of 18 per cent on the back of strong residential sales and retail earnings, but is warning that high electricity prices will slow growth in the near future. "The issue for FY18 is electricity," says Stockland's commercial property executive John Schroder. 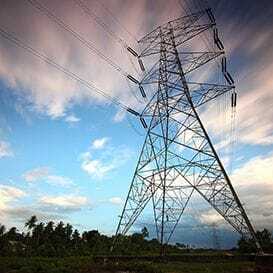 "The electricity increase in our portfolio across the nation is 48.4 per cent, or 60 per cent on the eastern seaboard." To counter this, the company is in advanced planning for 10 new solar rooftop projects to be rolled out this financial year to offset those electricity costs. This follows the success of its rooftop installation at the Shellharbour shopping centre in NSW. MD Mark Steinert says he believes the likely impact of the arrival of online retail giant Amazon has been overstated, and says the company plans to take on the challenge by improving its offerings categories less vulnerable to digital disruption. Steinert also says residential property price growth will soften to around three to four per cent over the year in Sydney and Melbourne, although he said Melbourne could exceed expectations, given better affordability and a booming population. In October the company said it was on track to meet its full-year guidance. 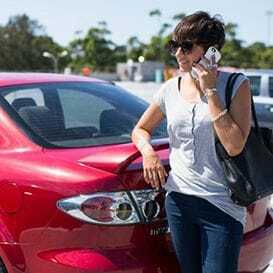 The ASX had its largest number of listings in six years, with 152 companies listed in the financial year to June 30, 2017, and it achieved modest rises in profit and revenue in the 2017 financial year. Its CEO Dominic Stevens says the company is aiming at attracting more share market listings from foreign companies after the listing of 16 Israeli companies that have market capitalisations of between $1.5 billion and $2 billion. Stevens says his company's strategy is to encourage listings in Australia rather than the United States, because of regulatory and market stability. "The average entrepreneur in Israel probably dreams to float on Nasdaq," he said. "But the way that the world is, a company that has a market capitalisation of $200 million or $500 million would find that difficult." 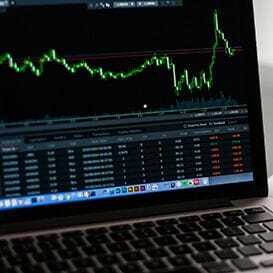 The company upgraded its trading platform and raised the profile of ASX's listings and clearing franchise internationally and is considering replacing its ageing CHESS clearing system in favour of blockchain technology. Importantly, 2017 marks the 30th anniversary of ASX's formation, when Australia's six state-based stock exchanges merged to establish one national market. The world's biggest hearing implant maker grew its sales revenue by seven per cent to $1.2 billion, while earnings before interest and tax rose 20 per cent to $315.6 million, up from $262.6 million in the previous financial year. During the 2017 financial year, Cochlear invested $152 million, or 12 per cent of sales revenue, in R&D and the company now has a pipeline of new products coming through over the next few years. Cochlear Limited, the company behind the life-changing Cochlear implants, which allow the deaf to hear for the first time, will release a brand-new product in collaboration with Apple. 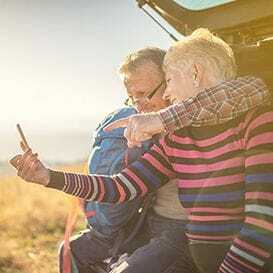 The product called the Nucleus 7 Sound Processor will allow users to stream sound directly from an iPhone or iPad and is expected to become a big driver of sales growth. Over FY17 the company launched its first off-the-ear sound processor, Kanso, in the US and Europe. 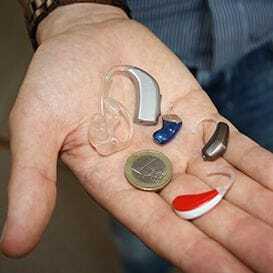 The group also introduced the world's slimmest electrode for cochlear implants, the Nucleus Profile Slim Modiolar. The company expects a net profit of between $240 million and $250 million for FY18 an increase of 12 per cent on the $233.6 million reported for FY17.